1. Cut back on the toppings. Too many simply confuse the issue. If they are meat, too many create too much grease, if they are vegetable they create too much water and too much cheese inhibits the under-dough from cooking well. 2. Cut back on the Sauce. A minimal amount is needed, much less than you would think. Try it and see. That picture is what I would consider heavy sauce. 3. 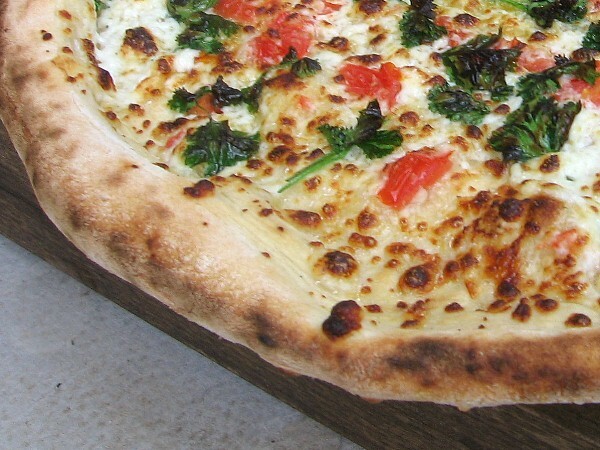 For vegetable topping(s) only pizzas, you should dribble on some good olive oil, not much, just a quick spin around the rim and a spiral to the center. 4. 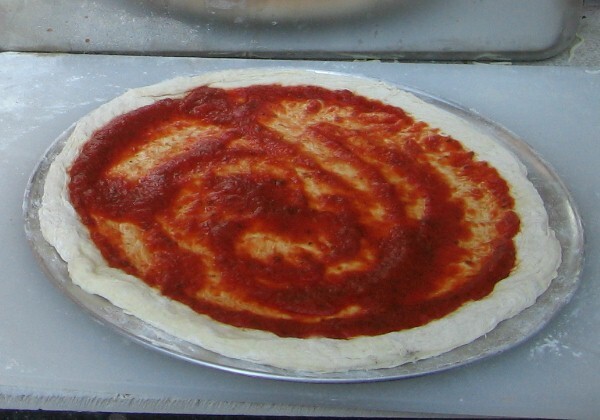 Ingredients should be mainly placed around the edges, as they tend to slide towards the center, as does heavy cheese and heavy sauce.